Eric Jones, better known as DJ Airrick (born March 5th, 1976 in Norfolk, Va) has been bringing House music to the clubs for over 13 years. Playing in venues all over the country bringing his unique blend of house and commerical tracks to the floors you will always hear something you have never heard before. Early in his career he was inspired by the sounds of 80's post disco and Hip-Hop over House tracks. He found a desire for mixing sets full of hard thumping club bangers and soulful house music opposed to the more traditional anthem house tracks. When you listen to a DJ Airrick mixset its like a shock to your system, the music impacts you and is sure to keep your body moving all night long. His goals are to bring a different sound to the mainstream clubs, to change what has been the same for so long. "I dont want to just spin a track with a diva singing over it and call it an anthem, I think House music deserves more than that." Eric has played intimate & major venues, in 2010 he had the pleasure of DJing for Chef Art Smiths wedding after party in Wash. D.C. 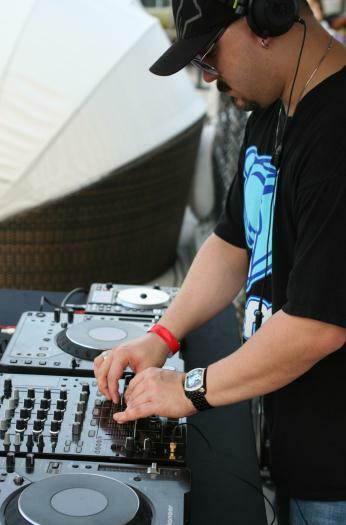 He has DJed alongside internationally known DJ, Producer & Artist Moby. He has also shared venues with DJs such as Tony Moran and Julian Marsh. In 2011 Eric has already taken part in history. He was the official DJ for the first ever OBX Pridefest in Nags Head, NC, a 3 day long event. During this event he had the pleasure of working with many entertainers such as Las Vegas legend Jerry Halliday, America's Got Talent Derrick Barry, and the talents of Dame Edna! "I want to bring a new sound to the community, I think they need it." 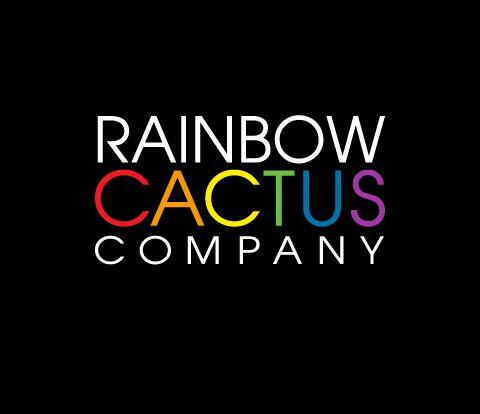 Currently you can catch DJ Airrick spinning almost every weekend at his residency in Va Beach, Va (The Rainbow Cactus). He has been playing there for over 9 years and shows no signs of stopping. He has also played for many of the clubs in the Hampton Roads area and elsewhere. Most notably The Wave, The Garage, The InBetween, Central 111, OBX Brewing Station, Flex Raleigh several others. He also does private parties, charity events and online broadcasts. Catch him near you or book him now! To learn more about DJ Airrick professional and personal please check out many of his social networks listed on the home page. Want to bring DJ Airricks house sounds to your club or event? Contact djairrick@gmail.com for booking information. C@djairrick yes, we need a party with the best DJ in America!